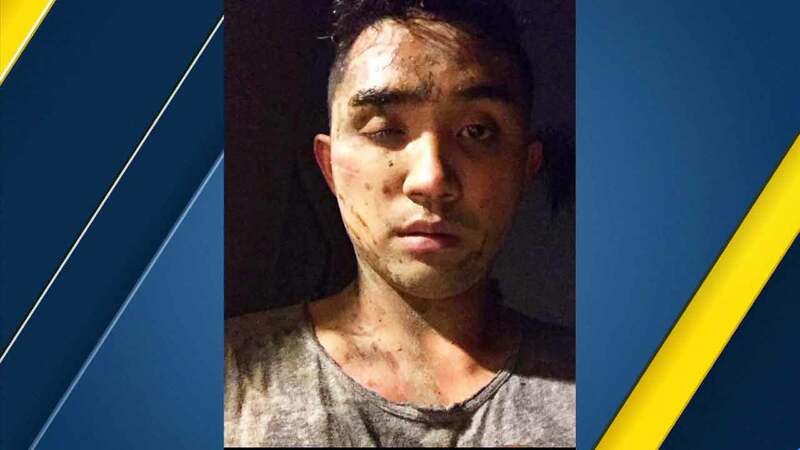 Chris de la Cruz in a photo he posted to Facebook after he was attacked by suspects in an alleged hate crime in West Hollywood on Friday, April 8, 2016. WEST HOLLYWOOD, LOS ANGELES (KABC) -- Deputies in West Hollywood are investigating a hate crime after a man said he was attacked because he is gay. The incident happened shortly after midnight Friday near Santa Monica and San Vicente boulevards, according to officials of the Los Angeles County Sheriff's Department. Chris de la Cruz posted a photo to Facebook after the incident, writing that he was pushed to the ground and punched several times. De la Cruz said the suspects put a knife to his face, wanted his money and credit cards, and made derogatory homosexual references. Investigators said there is not yet a description of any suspects.